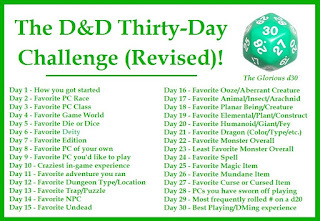 Creative Mountain Games: CMG Extra - "Favorite Planar Being/Creature" Day 18 of The D&D Thirty-Day Challenge! 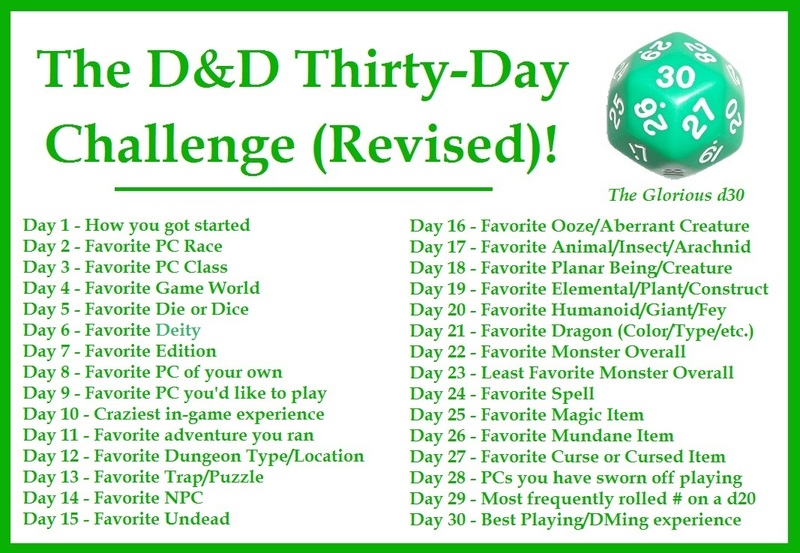 CMG Extra - "Favorite Planar Being/Creature" Day 18 of The D&D Thirty-Day Challenge! This one is a bit of a cheat. Let me explain. I have one under consideration for favorite but, if I am being honest, it is a bit of an extension of another favorite. The one I am suggesting is the Hellhound. "But, Mark," I hear you cry, "you already have the wolf as favorite animal and this is just another version of it, in a way." Fair enough and true enough. Still, I've written this one into adventures, one of which is published, and I throw these into settings in places where ever I get the chance. It's a wonderful companion for a Fire Giant, as used in my Fighting Fire adventure, as well as a great guardian in any lava-ridden or fire based environment. 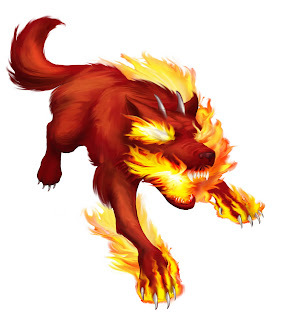 Who doesn't enjoy a nice pooch even if it can breathe flames? For the uninitiated, Fighting Fire is an adventure I wrote to assist with the Ernie Gygax Fire Relief Fund after his tragic apartment fire a couple years ago and since expanded to help with his mounting medical bills. 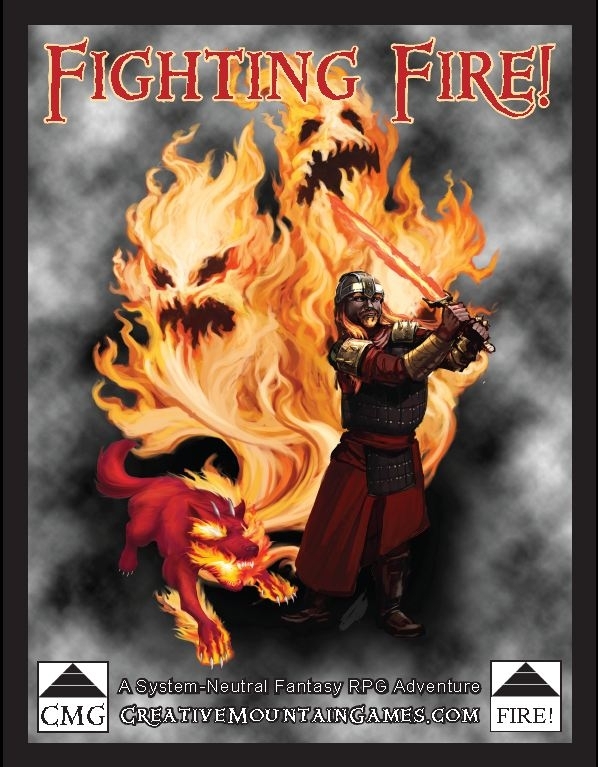 It's a fine setting based adventure that allows for folks using any Medieval Fantasy system to take on a heroic deeds and thwart an evil Fire Mage before he can do more harm to the civilized region easily adapted to any campaign. And, of course, I mention it here as a Hellhound is in use and even made the cover. It is available here.